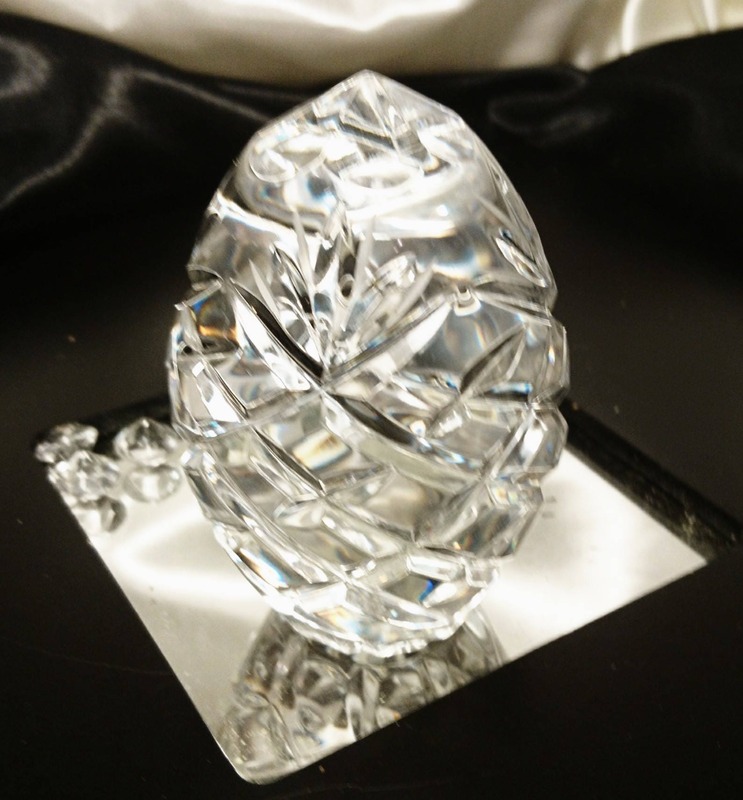 This beautiful crystal cut glass multi faceted paperweight is stunning in the light reflecting rainbow colours from the cut glass edges and plenty of sparkly shine. 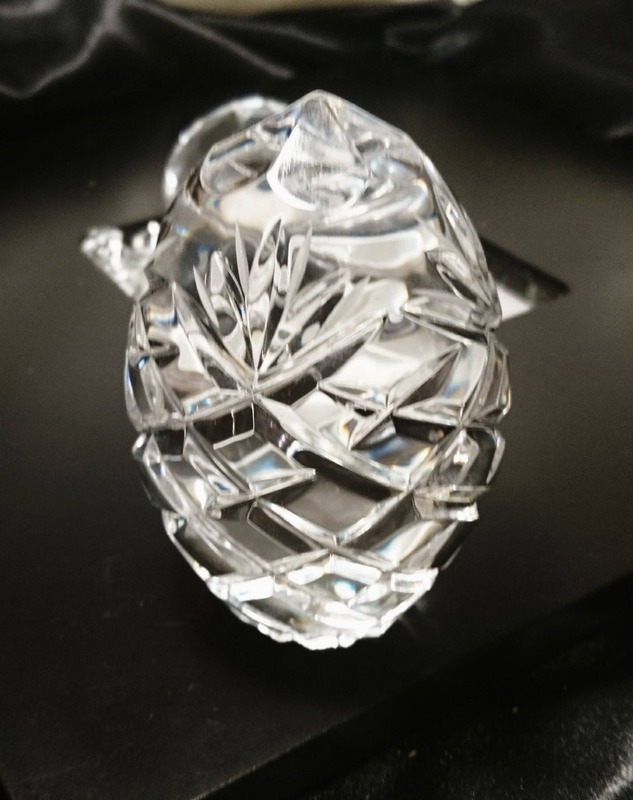 This particular weight is more oval in shape similar to a dump but resembles a large crystal pine cone. 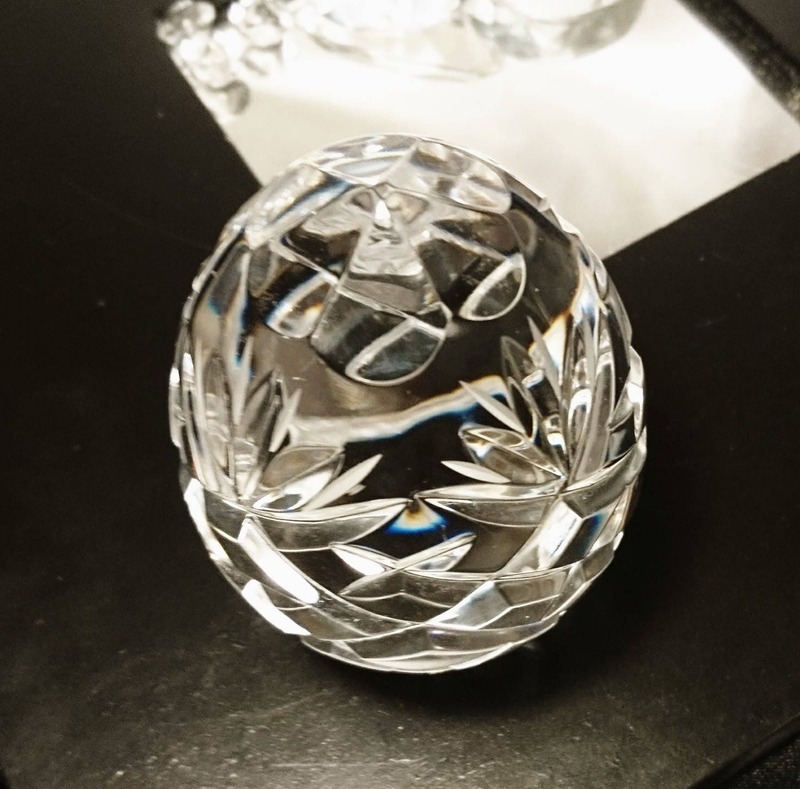 Very decorative and elegant paperweight.